The Canadian Canoe Pilgrimage is a project that is inspired by the Truth and Reconciliation Commission, that will promote dialogue between the Indigenous and non-Indigenous peoples of Canada. We hope to work for reconciliation by following a traditional First Nations trading route that was travelled by early European settlers like Samuel de Champlain and St. Jean de Brébeuf, in the care of their Indigenous guides. The Canadian Canoe Pilgrimage focuses on bringing cultures together in practical and concrete ways. By allowing young adults and others, both Indigenous and non-Indigenous, to be immersed in each other’s customs and traditions for an entire month, the pilgrimage will foster deep respect, trust, dialogue and hopefully friendship, the building blocks for reconciliation. The pilgrimage will occur during the year-long celebration of Canada’s 150th anniversary of confederation, a celebration that will frame the historic nature of this pilgrimage. 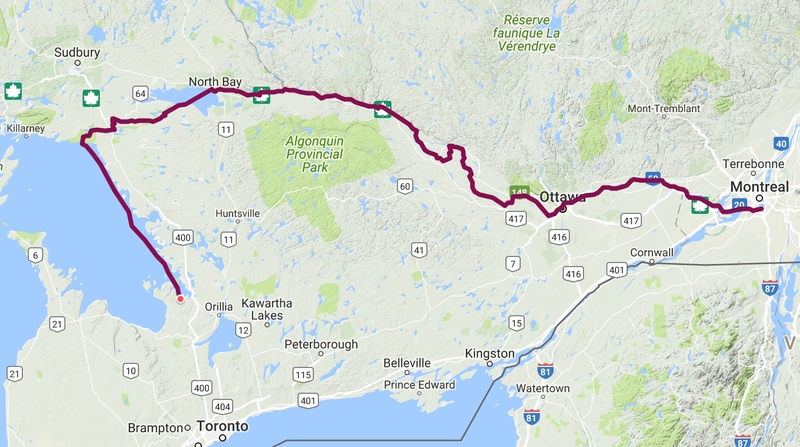 The voyage will follow the shores of Georgian Bay from Midland, Ontario to the French River, which will then move along the French River to Lake Nipissing. From Lake Nipissing, the pilgrimage will proceed along the Mattawa River to the Ottawa River. Paddlers will then travel down the Ottawa River to the St. Lawrence River and to their destination in the Montreal area. The canoe pilgrimage will take place from July 20, 2017 to August 15, 2017. We are gathering a group of approximately 30 paddlers, that will complete the entire, month-long journey. In order to encourage more participation, other paddlers may join the voyage for shorter lengths of time (4-10 days).